Rated a "Top 3" Christian School in San Diego County for 2019! Interested in learning more about OVCA? To Glorify God by equipping students spiritually, academically, socially, and physically. Since 1977, Ocean View Christian Academy (OVCA) has been providing excellence in education for thousands of students. Biblical world-view. With dual accreditation from both WASC and ACSI, you can be confident that you are receiving the best education possible. Rated a "Top 3" Christian School in San Diego! 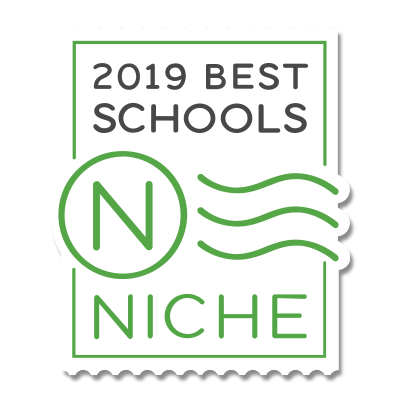 Ocean View Christian Academy is proud to have received a "Top 3 " ranking among Christian schools in San Diego County from Niche.com. We are also pleased to note that out of the top three Christian schools ranked in this selection, Ocean View Christian Academy is the most affordable by MORE THAN $12,000! This assures our families that your children are getting the highest quality education at the best possible price. Thank you for making OVCA your family! It can be daunting to choose the right school. OVCA would like to offer you a FREE GUIDE to assist you with your search. CELEBRATING 40 Years of Excellence in Christian Education.